1. Create a blog. Blogs are a great way to constantly add new content to your site for search engines to pick up. 2. Create a sitemap of your website. It allows easier indexing of your site by the search engines. In other words, it helps the search engines find all the pages on your site. 3. Research your keyword phrases. Invest the time and do your research. 4. Write content that includes frequently searched keyword phrases, so as to be relevant to a wide variety of search queries. 5. Optimize your website by editing its content and HTML. Associate coding to increase its relevance. 6. Write unique page titles. It is the most important part of your web page when search engines are determining your web page message and ranking. 7. Every page on your web site should have its own story and clear message. You must be sure that the search engines have no doubt what each page should rank well for. 8. Make sure you register you domain name for more than one year. The search engines want to see that you believe your site is going to be successful. The first place they check is with your domain register company. 9. Promote a site to increase the number of backlinks. Submit press releases for link building. 10. Limit your use of Flash. If all of your content and menus are in Flash, search engines will have a harder time following the links. 11. Get listed in directories. They provide one-way links that will increase your online presence. 12. Use the title tag. A page title is located at the very top of your browser’s window. It can bring traffic in abundance. 13. Utilize flat site architecture; offer quick access to all the pages within the site. Minimize the number of clicks that are needed to find all the pages within your site. According to the search engines, fewer clicks mean higher importance. 14. Research your competition. Competitive research can help you track down the links pointing to your competition, allowing you to contact those same sites. 15. Tell the search engines where you work. You can’t get found in a search unless Google knows where you are. Submit your business to Google Places and make your physical location part of the footer on every page of your site. 16. Reviews can improve your local search rankings. Ask your customers to submit reviews on websites such as Yelp. 17. Post video on YouTube. It will pick up the link to your site and provide traffic through the link. You will also want to brand the video with your web address. 18. More images help provide more SEO traffic! 19. 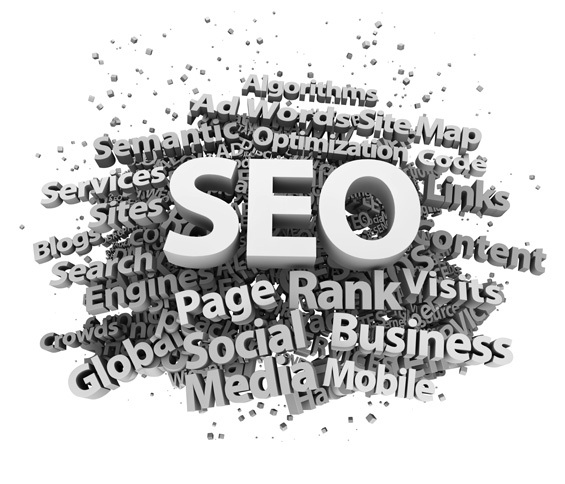 SEO tactics may be incorporated into website development and design. The term “search engine friendly” may be used to describe website designs, menus, content management systems, images, videos, shopping carts, and other elements that have been optimized for the purpose of search engine exposure. 20. Cross link between pages of the same website to provide more links to most important pages may improve its visibility. 21. Make sure you hire a SEO savvy web design firm when you’re considering a site redesign, or planning to launch a new site. That way you can ensure that your site is designed to be search engine friendly from the bottom up! Very intersting post. thank you very much for the info. Very enriching site. These are amazing SEO tips for those looking to create more buzz for their website. I came across a marketing company called Majon International who offered these amazing tips and services to help optimize the results for my blog. am impressed! Very useful info specifically the last part 🙂 I care for such information a lot. « Evening with Howard Schultz, CEO of Starbucks. Onward.